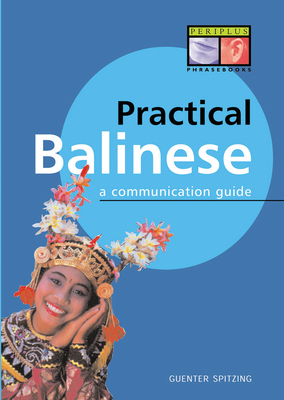 This is a handy, travel-sized Balinese phrase book with additional information about the Balinese language. Hundreds of useful Balinese words and phrases. Arranged by topic and situation for easy use. Balinese grammar, pronunciation and body-language guides. A comparative history of the Balinese language and its relation to Indonesian. Balinese dictionary and appendix for easy reference. Using this book: Begin by going over the Balinese pronunciation and grammar guides briefly, returning to them as needed. The on to the basics: greetings, time and numbers. The rest of the book offers sections dealing with situations and activities you'll be part of. The three special sections are designed for easy reference to especially useful information. The glossary and appendix complete the guide. Good luck and good traveling.